Russia says it disagrees with the administration of US President Donald Trump's characterization of Iran as a "terrorist state." Several officials in Trump's inner circle are known for visceral acrimony toward Iran. Trump himself, who is a former businessman with no prior political career of his own, has also been striking a belligerent tone on Iran, particularly regarding a nuclear deal that Tehran negotiated with six other countries - including the US - back in 2015. Trump has said the deal benefited the other parties to the deal more than it did American businesses. But in a first remark that closely resembled his aides' rhetoric on the Islamic Republic, Trump told Fox News on Sunday that Iran was "terrorist state number one." Reacting to that remark on Monday, Kremlin spokesman Dmitry Peskov said, "We disagree with this postulate," Russia's ITAR-TASS news agency reported. US Defense Secretary James Mattis had on Saturday called Iran "the single biggest state sponsor of terrorism in the world." While it was his first comment on Iran since taking over as the US's defense secretary, the retired US Marines Corps general had made similar remarks on numerous occasions in the past. Earlier, Trump's national security adviser, Michael Flynn, had said the US was putting Iran "on notice" over a recent missile test. The US also introduced sanctions on the Islamic Republic over the missile test and what it said was Iran's continued support for terrorism. Iranian officials have rejected the US accusations and have said Iran is a main country on the battlefront against terrorism. Iran has been offering advisory military support to Iraq and Syria in the two Arab countries' fight on terrorism. The Islamic Republic has been cooperating with Russia in assisting the Syrian government. 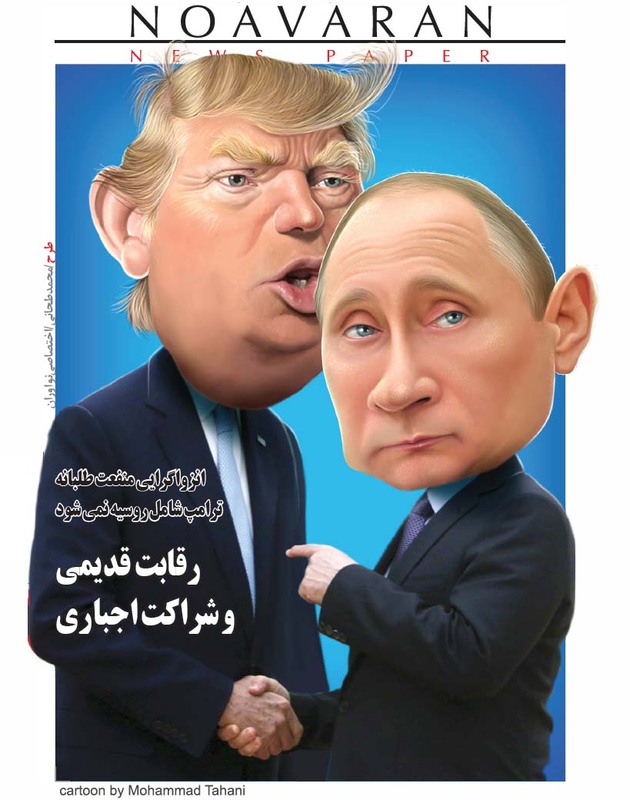 Peskov, the Kremlin spokesman, pointed to that cooperation as well as partnership between Tehran and Moscow in other areas and said Russia was to develop its relations with Iran. "You all know that Russia has good relations of partnership with Iran, and we cooperate with that country on a number of issues. We appreciate our relations in the trading and economic sphere and we hope for their further development," the Russian official said. China's Foreign Ministry spokesman Lu Kang said on Monday Beijing had "lodged representations" with Washington after Trump's administration imposed sanctions on 25 people and entities on Friday for trade with Iran. "We have consistently opposed any unilateral sanctions," Lu told a regular press briefing in Beijing. Unilateral US sanctions in the past have infuriated China. Last March, Beijing was outraged after the US government punished China's largest telecom equipment maker ZTE Corps for alleged violations of sanctions on Iran. China's Foreign Ministry expressed anger at the action, saying it is "opposed to the US citing domestic laws to place sanctions on Chinese enterprises." The new US sanctions list includes two Chinese companies and three Chinese people. Those on the list cannot access the US financial system or deal with American companies. They are subject to secondary sanctions, meaning foreign companies and individuals are prohibited from dealing with them or risk being blacklisted by the United States. China has close economic and diplomatic ties with Tehran. Executives of two Chinese companies included on the list said they had only exported "normal" goods to Iran and didn't consider they had done anything wrong. Lu said such sanctions, particularly when they harmed the interests of a third party, were "not helpful" in promoting mutual trust. China has said it is "seriously concerned" about President Donald Trump's recent hawkish rhetoric on Beijing. Experts say the new administration's moves are set to further strain relations between China and the US.